Electronic and power-assisted bicycles are the fastest growing innovation in cycling today and have quickly gone from being a bit obscure to being part of mainstream cycling culture. As usual, the cycling nations in Europe are leading the way, with the total value of e-bike sales surpassing that of conventional bicycle sales in the Netherlands for the first time this year. Are Electric Bicycles the Answer to Our Congestion Problems? In Australia, local governments are slowly waking up to the fact that cycling as a means of transportation is an absolute necessity if we are to keep our cities liveable. In Victoria alone, another 500,000 cars are expected to hit the roads in the next five years. With only 5.4% of Melbourne’s population commuting by bicycle, according to the latest census, there is a massive benefit to be gained from getting more people to take up cycling. E-bikes are a big part of that equation, which is why RACV has launched a trial where they gave a fleet of Melburnians e-bikes to use for commuting. RACV have found that distance is the number one reason keeping people from commuting by bike (with road safety being another common reason), and they hope e-bikes will be able to transport us all from suburbia to work without breaking a sweat. What are e-bikes and how do they work? Most power-assisted bikes in Australia are so-called pedelecs, where the motor only activates as long as you pedal. For pedelec bikes there is a maximum speed limit of 25 km/h before the motor shuts off, and a top output of 250 watts required by law – if you’re riding on roads or bike paths. If you’re off-road however, there is no speed limit and you can buy e-bikes specifically for this purpose, but you’re not allowed to ride these on public roads. We’d advise you to always check whether your local nature park allows e-bikes before you go riding, 25 km/h limit or not. Some types of e-bikes have a hand-throttle which can be used to power the bike forward regardless of whether you’re pedalling or not. These bikes have a maximum power output of 200 watts and also a speed limit of 25 km/h on the motor. Now, you may be thinking, “but I can easily go faster than 25 km/h for a prolonged period, so why would I need an e-bike”? I must admit that this was my initial thought too, but that is a narrow mindset. In actual fact, there are many different types of e-bikes on the market which open up a plethora of ways to go riding. 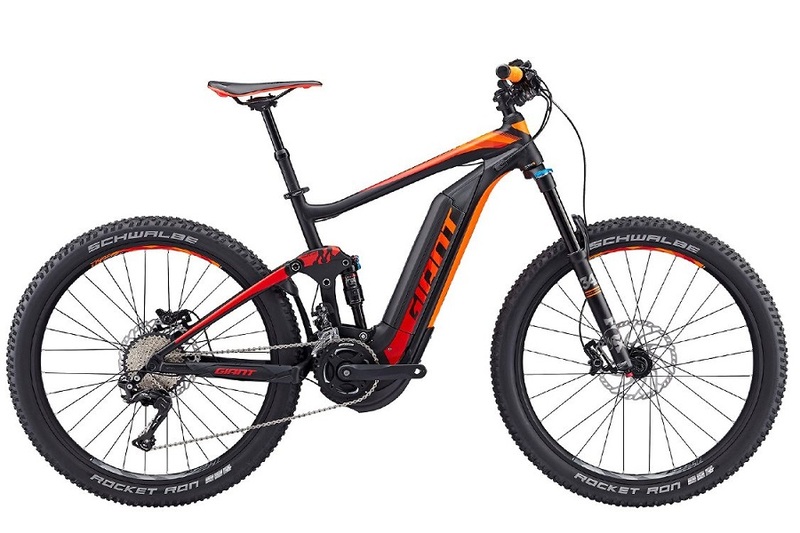 Different types of E-bikes are designed towards different kinds of activities such as trail riding, mountain biking, downhill riding, moving cargo, road biking, cruising, commuting and fat tyre riding. How you will use your bike determines what type is best for you. The first time I tried an e-bike I did feel a little like I was cheating because “bicycles are meant to work on human power”, but that feeling disappeared the second I felt the motor kick in. The bike was easy and fun to ride and I felt like I used to as a kid, racing down the street with my friends. If you’re into mountain biking or trail riding you’ll find a lot of use from an e-bike. Power assisted bikes get a bad rap from some old-school riders, but I think you need to try them out and form your own opinion. The benefit of these bikes are that they are power assisted, which means you still need to pedal to get somewhere. You will still come home feeling tired, but instead of a 15 km ride, you might cover 45 km in a session because you can move much quicker uphill. That’s a whole lot more fun! I think this 4-minute video shows you just how much fun trail riding on an e-bike can be. Notably, the utility of an e-bike is much more than just a bit of recreational fun. Commuter style e-bikes open the door to transporting yourself, your kids or other cargo such as groceries without having to get the car out. It’s good for you to get some exercise, it’s much better for the environment and it helps with traffic congestion and parking at your destination. Our cities would no doubt be more liveable if we replaced a portion of our drives to the local shops and used an e-bike instead. Every time the big manufacturers bring out a new season of e-bikes, the battery and motor efficiency, noise reduction, riding smoothness and technology integration takes another step up. Most of the 2018 ranges will have a small computer screen with navigation, tracking, ride history and other diagnostics that will give you real-time information on your ride. If you’re considering buying an e-bike but don’t know where to start, you can find lots of electric bicycles for sale right here on Bike Chaser, including road and mountain e-bikes. Lastly, nothing beats the real thing, so I’d encourage you to go and see one of our many bicycle retailers and try an e-bike for yourself – you won’t be disappointed. I recently bought an e-bike (Powerrider Aries 700c from http://www.justride.com.au/) to suit a Dutch relative (75 F) who rides ‘000s of km a year all over Europe. She is visiting Australia next year to go bike riding with us for several weeks and needs a step-through bike – preferably electric. Then, 11 weeks ago, a car pulled in front of me causing me to hit the road and suffer a spiral fracture of my femur. It was fixed with lots of titanium so that plaster and other restrictive encumbrances were not needed, and there were no weight bearing restrictions. After about 8 weeks when my physio got my knee to bend enough to do a full pedal revolution, the e-bike proved itself to be a brilliant way to get going on a bike again with controlled exercise by using the motor judiciously. The step-though design has been essential for me. 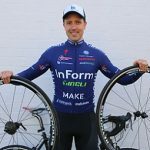 With a range of around 90-100km, the bike has allowed me to free myself from crutches and a lot of sitting around at home, and to enjoy life in the open with my wife, and take rides up to 70km. Even when I’m back on my Vivente Gibb, I think the Aries will be great for local shopping and as a spare bike for friends and relatives. So . . . My advice is, if you want to get mobile again after an injury or illness, consider investing in an e-bike. Great blog and back-up video. With e-bikes now the only bike market segment still growing in Australia, and actually growing fast year-on-year , it is still surprising to me how many bike retailers are refusing to put them on their shop floor and prefer to complain about shrinking sales of all their other bikes and loss of sales to on-line traders. e-Bikes will not only serve some of their existing customers but bring them a whole new customer base : commuters & retirees, as well as new, and increased demand for service and repairs. As in all other businesses, bike retailers either grow or die and e-bikes will help their growth, as long as they adopt and support the new product line with enthusiasm. Couldn’t agree more Kurt. E-bikes have the potential to get many more Australians cycling – those who find the distances to far, those who want to carry their shopping, those who want to transport their kids, those who want to combine exercise and transport without having to wear sports gear, those who feel too old or injured to ride a traditional bicycle, the list goes on. The fact that e-bikes have become so popular in the Netherlands, where the locals really appreciate the utility of cycling as a mode of transport, shows the potential for bike shops, commuters, urban planners, politicians etc. I own 2 ebikes now, a mountain bike and a commuter. I think there are two really important points to make. The first is: getting up hills easily is the key to this technology. Steep hills where I was sometimes down to 10-15km/h, I’m now going up at 25km/h, where the motor cuts out, and I dont get as tired doing so. This means when going mountain biking, I can go up a large mountain 3 times in a day, not once, and that means 3 times more fun going downhill. This leads me onto the second point. Your speed is not limited to 25km/h, When you are screaming down the main road or down the mountain, you don’t need a motor, and the motor isn’t running, but you can still go as fast as you can pedal just like any other bike. I can still hit 60km/h unassisted just like i used to on my racer. I love both my bikes so much. They have raised my enjoyment of cycling a whole heap. Just wondering, if like cars, there is capacity issues after a few months of use? I see Specialized and Raleigh rate their batteries at 40-60 miles, but does that decrease over time and do the manufactures provide updates and such to alleviate that?